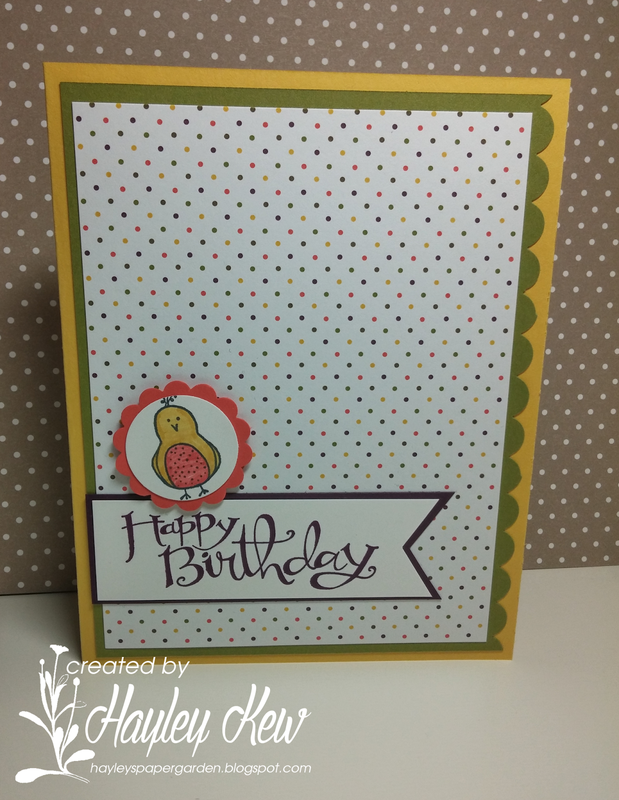 Hayley's Paper Garden: Happy Bird-Day! 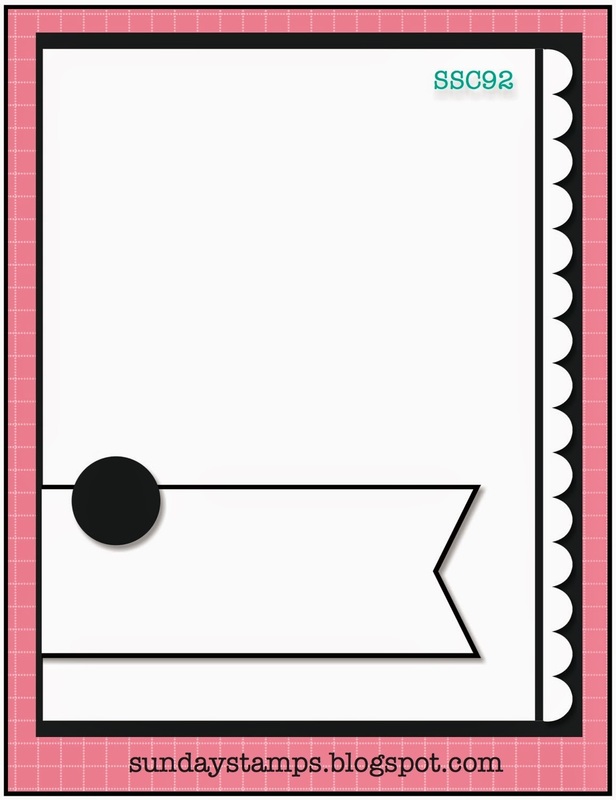 Here is one I created using the Sunday Stamps sketch. 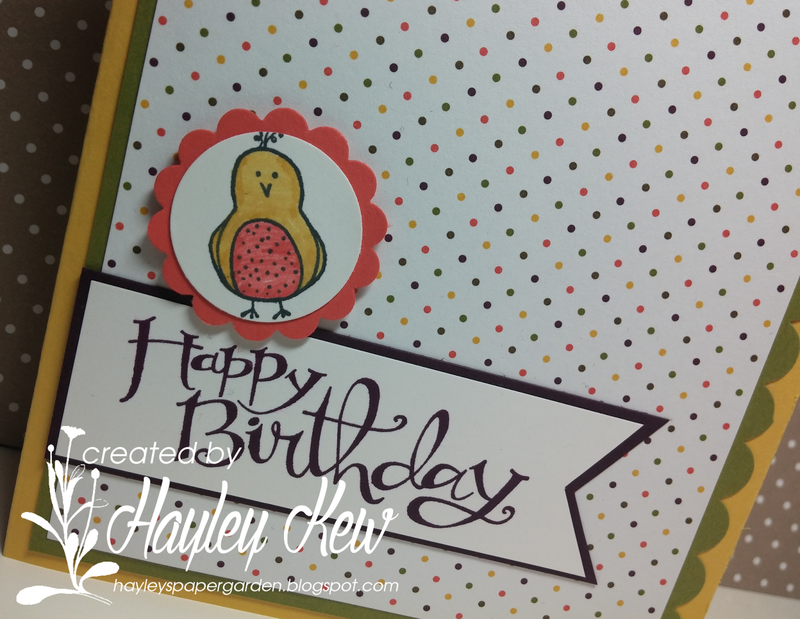 What a happy bird-day card, Hayle! Love that little guy.Thanks for playing at Sunday Stamps! That little birdie is just too cute! I love your choice of DSP behind him too! Just a perfectly cute birthday card! Thanks for playing along at Sunday Stamps this week!